For parties of all shapes and sizes, BIG JOE, SPARKY, and RILEY will interact with guests, sign autographs and pose for photos. 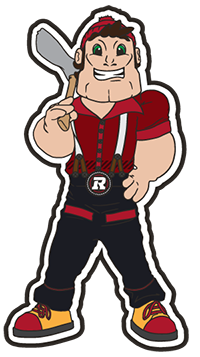 BIG JOE appearances include a gift package, a voucher for two tickets to one REDBLACKS home game (*based on availability, seating pre-determined by OSEG). Appearance Fee: $250. 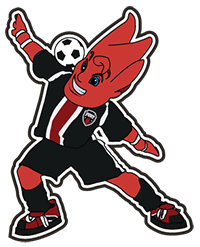 SPARKY and RILEY appearances include a voucher for four tickets to one FURY FC or 67’s home game (*based on availability, seating pre-determined by OSEG). Appearance Fee: $200. Each mascot appearance fee is based on one mascot for 1 hour with an additional $50 for each additional hour, up to 3 hours (breaks are required as needed). Appearances require minimum of two weeks advance notice. Submitting a request form does NOT guarantee the appearance until after a member of our staff finalizes the event with you and payment is made. Fill out our mascot appearance request form below. Can you think of a better way to liven up a grand opening, board meeting, trade show, or sales pitch? How about just congratulating your staff on a job well done? You can have our mascots join you and your co-workers at your next special event. Our mascots can tailor their activities to the needs of any event. Appearance Fee: $300. Please fill out our mascot appearance request form below. Submitting a request form does NOT guarantee the appearance until after a member of our staff finalizes the event with you and payment is made. Ottawa Sports & Entertainment Group reserves the right to exclude any request including competitors to our existing partners/sponsors. Ottawa Sports & Entertainment Group partners are eligible for reduced rates. Contact your OSEG Partnership Representative for more details. Not-for-profit and charitable organizations are eligible to receive mascot appearances at no cost. 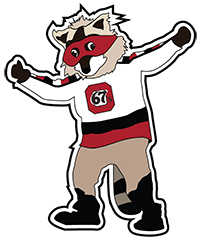 Request your mascot appearances by contacting our Community Event Specialist, Mark Sluban at msluban@oseg.ca. Elementary schools are eligible for our various complimentary school programs. Schools with other event requests are encouraged to email our Community Event Specialist, Mark Sluban at msluban@oseg.ca. Fees are non-negotiable. Any and all fees must be paid two weeks prior to date of the appearance. Appearances are based on limited availability and scheduled on a first-come, first-served basis. Mileage fees may be required if location of event is over 50 km from TD Place. Submission of this request does not guarantee an appearance. Someone will get back to you to confirm availability and finalize payment for the event. Mascots are happy to adapt to your event. If you have a special request that you would like them to be involved in, please contact us to discuss. Otherwise, they will go about his usual antic, which consists of shaking hands, signing autographs and taking pictures with your guests. Mascot performers require a private and secure location, away from public access or visibility for the duration of their appearance (a public washroom is generally not acceptable). Promotional items such as autograph cards, posters, etc. may be distributed to children at the event. Event hosts must provide a responsible adult volunteer when needed. Be informed, if the event (whether big or small) gets out of hand and our mascot performers feel threatened in anyway, they will leave the event and appearance fees will NOT be refunded.